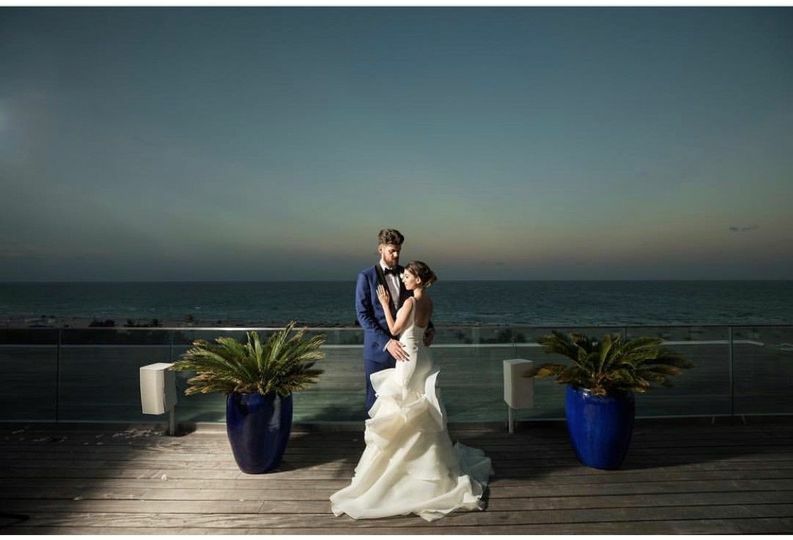 The Nautilus Hotel is a luxurious wedding venue located in the heart of Miami’s South Beach. 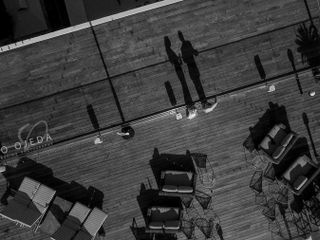 Originally designed by famed architect Morris Lapidus in the 1950s, the unique hotel has recently been renovated in a way that pays homage to its original essence. 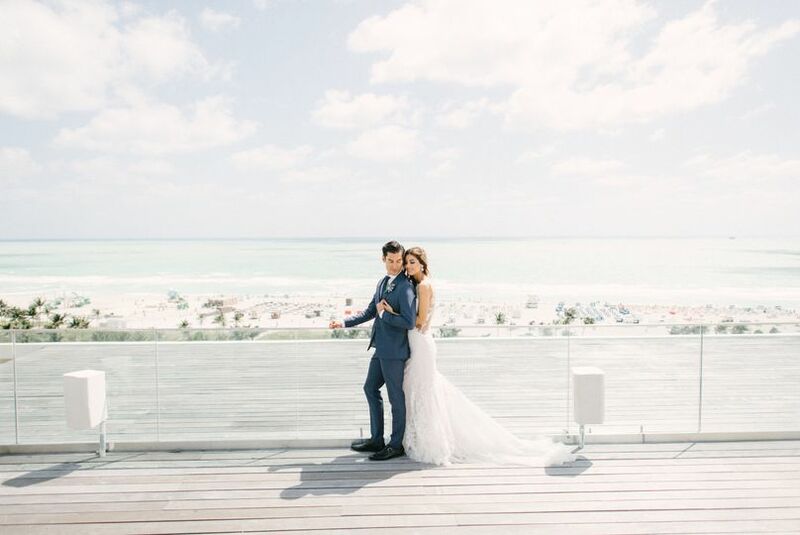 The Nautilus Hotel emulates a luxury beach house that has both an international and residential feel, which makes it the ideal setting for the waterfront wedding of your dreams. 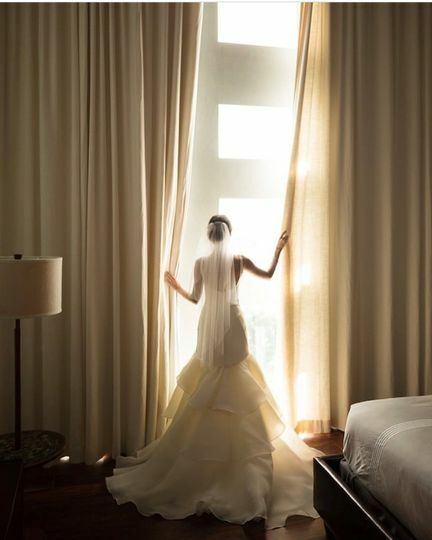 The Nautilus Hotel can accommodate up to 400 wedding guests in its indoor and outdoor event spaces. The hotel’s Nautilus Cabana Club is a 200-seat restaurant that offers 2,250 square feet of flexible event space. The club features distinctive elements of wood and brass along its breathtakingly blue marble bar. Meanwhile, the club’s outdoor terrace, which offers over 1,950 square feet of space, overlooks The Nautilus Hotel’s pool and backyard lawn. 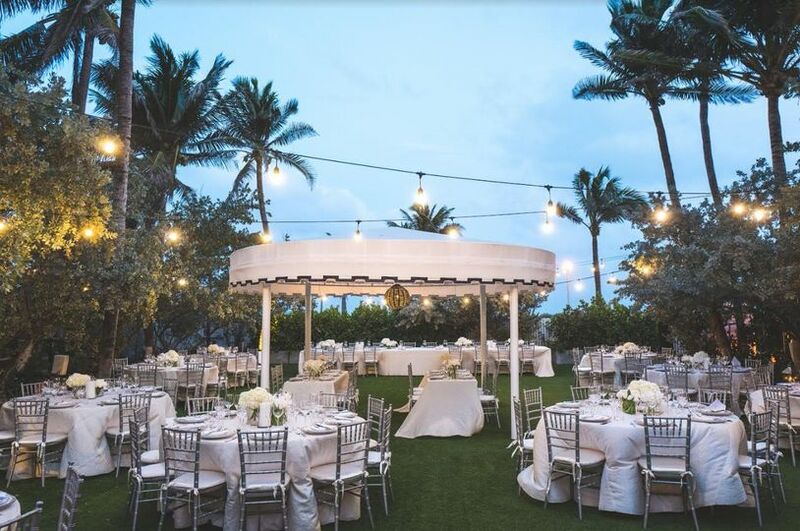 The hotel’s lawn and pool span over 11,900 square feet of flexible event space, and are available for hosting intimate or grand cocktail hours, ceremonies and receptions. 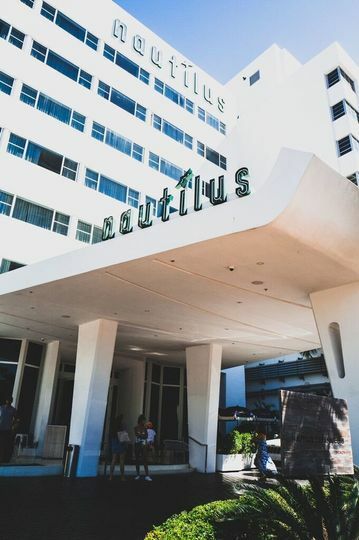 The Nautilus Hotel’s Bridge Room is inspired by mid-century Miami elements and features parquet flooring, a high-quality audio and visual system and custom contemporary furniture that is sure to dazzle you and your guests on your wedding day. 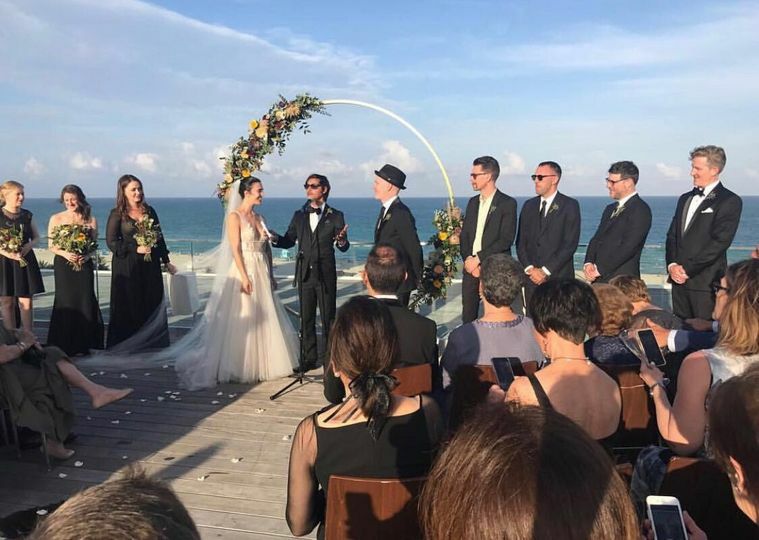 The Nautilus Hotel is a full-service venue that offers hotel accommodations for you and your guests during your wedding weekend and, also provides in-house catering and bartending services. It is available for hosting bridal showers, engagement parties, rehearsal dinners, wedding ceremonies, receptions and elopements. The Nautilus Hotel provides parking, wheelchair access and valet. Couples can choose from a variety of catering options at The Nautilus Hotel that fit all of their wedding-day needs for their cocktail hour or reception on their special day. Those options include buffet, dessert, hors d'oeuvres, family style, plated, stations and servers. The hotel also offers open bar, limited bar, and cash bar services, as well as premium and house liquor, wine and beer. The Nautilus Hotel provides barware, flatware, glassware, linens and even a chocolate fountain for the events they cater. Spoke with Vanessa on booking this venue over several weeks. We visited the hotel the customer service was excellent, grounds beautiful and food was good which I never say about hotel food. Vanessa answered all of my questions almost within the hour most times. We decided to go a different route because we both didn't love the South Beach atmosphere (looking for something more laid back), which we did book. I REALLY wish I was still dealing with Vanessa. Weeks later dealing with numerous planners and vendors right now I believe she really is the best of the best, great at her job and you can tell she likes what she does. We almost looked past the location issue just so we could do business with her. She sells the place. 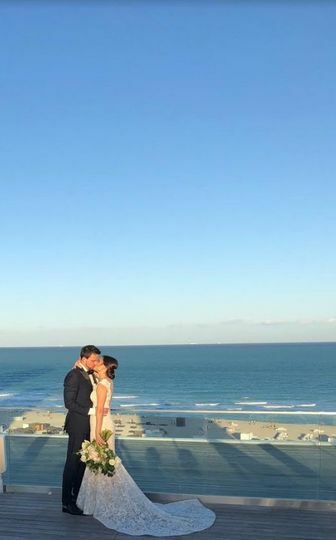 If you are looking for a wedding in South Beach THIS IS IT. 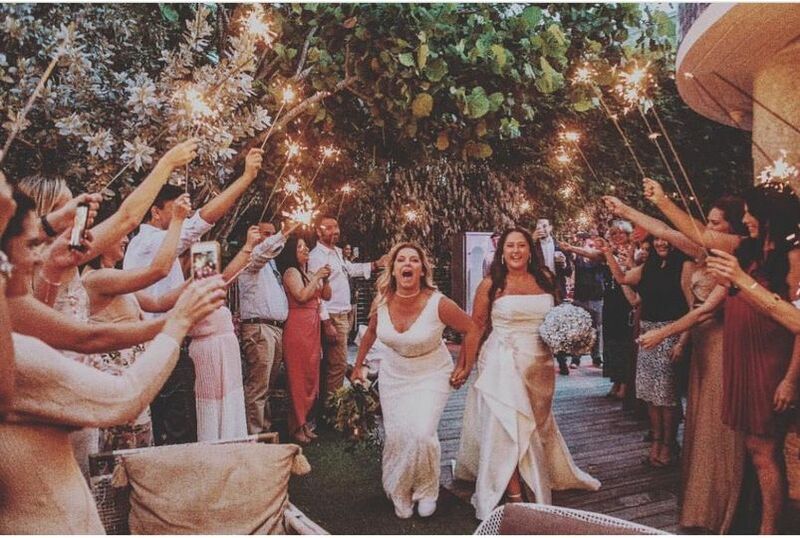 We chose Nautilus as our wedding rehearsal dinner spot because it was elegant, affordable and very Miami. After checking out dozens of restaurants on Miami Beach, we came across this hotel and their outdoor patio. We worked with Vanessa and Paola to plan our event & menu and they were both fabulous. They helped customize everything for us, including the layout and seat assignments. They accommodated 77 of us in the indoor bar & outdoor cabana area. They even helped us get a wireless mic for speeches. Paola especially was incredibly helpful and communicative in getting all the details right. It was magical because of her. Our guests RAVED about the ambiance and food the entire night. The salmon, pasta and donuts were true highlights. All of the staff were attentive and so helpful. The entire night exceeded any expectations. We highly recommend this hotel & restaurant for any sort of event, big or small! Thank you Rebecca! We enjoyed working with you and are so very happy that you enjoyed your special night with us! I will pass on the feedback and we hope to see you at The Nautilus soon! 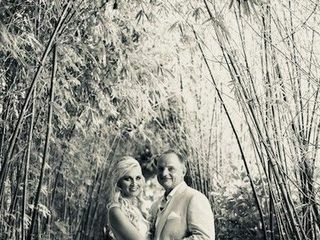 My husband and I and our families could not be happier with the service, the friendliness and willingness of the staff to make our stay and wedding day perfect! Paola, the event coordinator was helpful in finding ways to always getting us what we were hoping to achieve for our wedding day, she paid attention to the details that mattered to us; she communicated well with our planner and vendors and everything went very smooth. 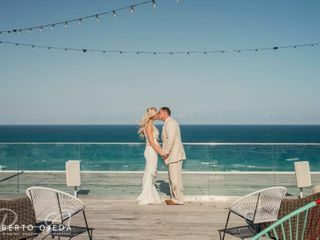 Our guests were thrilled at how we were able to use all these different spots for our wedding entertainment, the food was delicious, the penthouse was a smart investment especially for having a family get together prior to the wedding and on the wedding day getting ready, having photos taken, etc. 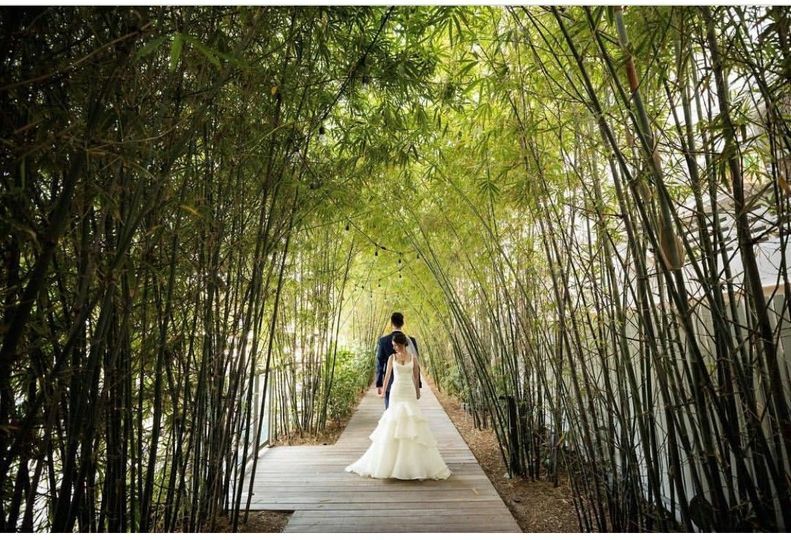 we used the bamboo walkway to do our first look; the rooftop for our private ceremony, the hotel bar for our cocktail hr, the reception rm for seated dinner for 100 guests and the backyard for dancing. Then the Cabana Club restaurant for after party drinks and late night snacks and our penthouse for after after till 4:30am for dancing the night away! Amazing time! It was great to have most of our guests stay at this boutique hotel and see them often, at the pool, the beach etc. giving us extra time with them. Highly recommends his hotel and venue! It is beautifully decorated and well designed.